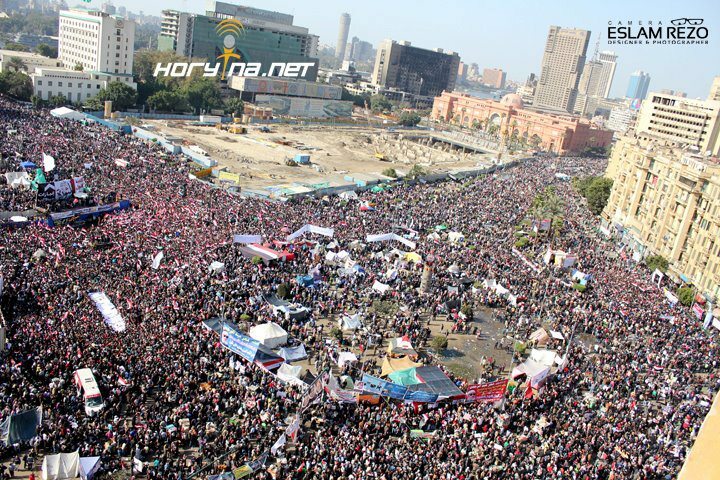 Today marks the first anniversary of Egypt’s revolution; Jan25. This day embodies the moments when Egyptians voiced out against Mubarak’s regime and all its injustice. Their courage and determination was so powerful that it was contiguous to other countries too; like Syria, Bahrain and Libya. Yemen was already taking the streets protesting before the Jan. 25. I must admit that the bravery of Egypt’s blogging sphere influenced me to be the blogger I’m today. I really have the greatest respects to their cyber-activists. Of course, I respect all Egypt’s activists but the cyber-activists have a special place in my heart. At the moment, I’m in a 3-days-wrorkshop in Istanbul, Turkey about “Online Security Issues” along with around 20 bloggers and activists from MENA. We have 3 Egyptian participants who are struggling with being away from Tahrir and Cairo today. I see them, their bodies at the class but their hearts are still in Egypt. It’s really tough to be away from Egypt in such important/historical day. I just got back from the hall where I found one of the Egyptian participant who was so sad and had tears in her eyes. I asked her, “what’s wrong?” “I’m not sad that I’m not today at Tahrir, but I’m sad because I just remembered the martyrs and realized that we did nothing yet for them,” she answered. Anyhow, Mabrook to Egypt, even though they still have a long way to go. Don’t we all! PS. I’m posting this post through a proxy website since my hosted blog through blogspot.com is blocked.